I haven't really had the opportunity or the necessity really, to purchase new shoes this Summer... which is totally not me haha! There have certainly been shoes that have caught my eye, mainly a pair of graphic booties from earlier this year that Elissa from Style Wire grabbed at the GILT Warehouse sale. I am happy to report that I found a pair in my size on Ebay and I am hours away from winning them (keep your fingers crossed for me!)... but I digress. There are so many more that I am crushing on, that I just had to share... and all are under $75. Perfect prices for sizzling Summer shoes, am I right?! 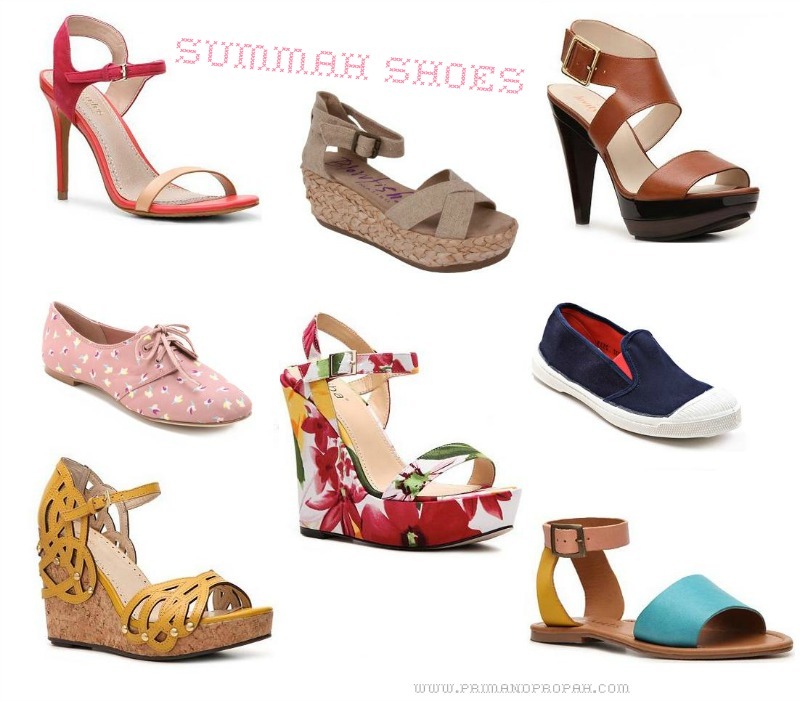 Great round up, nothing better than summer shoes...! I love the colorful flats! I know, I am thinking I should only pick one pair haha but they are alllll so cute! Another issue is that I'll never have enough great places to wear them! They are cute, right? I enjoyed putting this roundup together though it was hard not to buy any haha! Love the brown platform sandals!! oh jeez, those pink oxfords are ADORABLE. Those floral wedges have got to be my fave for sure. If I wasn't so tall they'd probably be my go to pair. Oh oh oh I love these all. Especially adore that last pair of flat sandals-- look like they belong on a tropical getaway!